Do you enjoy going to the movies but dislike having to deal with noisy people and crowded theaters? If you’re among the 57% who prefer to watch movies at home, maybe it?s time to consider constructing a movie theater within your own home! Combined with some of the latest home automation technology, it?s easy to create a relaxing atmosphere for you and the family to kick back while enjoying one of your favorite flicks. And the best part is, you won?t have to use multiple remotes to control your new home theater! Go the extra mile and discover how you can benefit from a home automation system. Home automation systems come in two forms ? wireless and hardwired. The wireless option depends on routers to relay information from the remote to the intended device and is best for those who don?t want to perform a complete renovation. 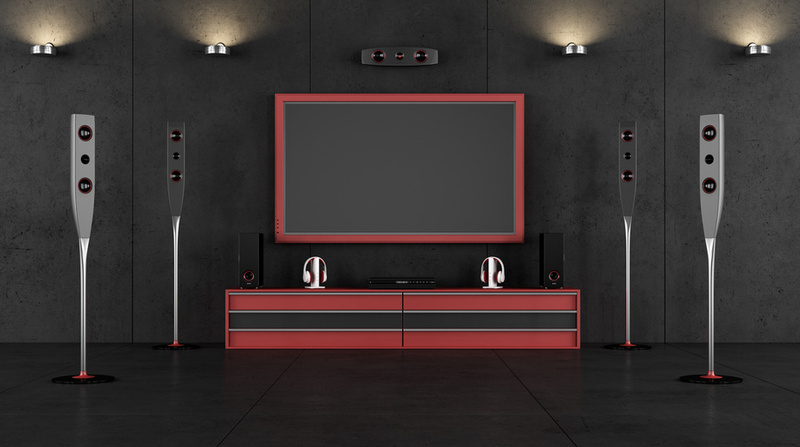 The hardwired option provides a more permanent connection between different technologies and appliances and is popular among homeowners who choose to design and construct a home theater system. The last thing you want to do before watching a movie is sort through a pile of remotes in order to turn on the different components of your home entertainment system. Simplify the entire process with a home automation system. You?ll be amazed at how easy it can be to turn on the entire system through only one device. You probably didn?t realize that home automation systems could save you money, right? Well, with a home automation system, you could save up to 15% on your next energy bill. That means, with an average of $110 per month being generated by the average household, you could potentially save about $16.50 or $198 per year just from home automation! And that?s not all. Households with home automation systems have discovered about 20% of savings on their insurance, which adds up to about $1,154 each year. Not only does a home automation system help to simplify your home theater system and saves you money on energy and insurance, but it also can raise the value of your home! Keep in mind, though, that this benefit relies heavily on how you design the home theater, where your home is located and how well-kept the structure is. As long as you?re willing to put the money and the effort into it, you could be looking at a 77%-91% increase from its original cost. Do you have a home automation system installed in your home? Tell us about your experience in the comments below!